KCTS 9's Dinosaur Train geocache is located behind your favorite Public Television station! If you are visiting Seattle Center, make sure you look around for this geocache! “Go outside, get into nature and make your own discoveries!” That is what Dr. Scott challenges his viewers to do at the end of each Dinosaur Train episode. In support of this call to action, The Jim Henson Company has hidden Dinosaur Train themed geocaches nationwide with the help of local PBS stations. 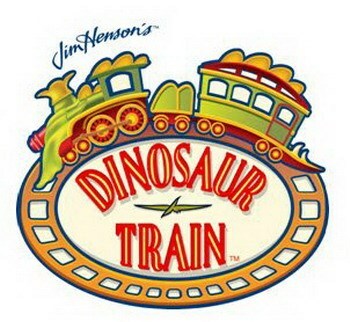 Each geocache celebrates a dinosaur featured in the Dinosaur Train Field Guide on the PBS Kids website. This geocache is the Corythosaurus geocache. Corythosaurus was an herbivore from the Cretaceous. We don’t know for sure, but it may have eaten needles from conifer trees or leaves from flowering plants. What is your favorite dinosaur? Be sure to tell us when signing the logbook and noting your find here! For more Dinosaur Train related activities, games and educational resources, please visit the Dinosaur Train Parents page. The hide location is accessible around the clock, though you might occasionally run into some station staff taking their breaks nearby. Please do not park in our driveways. The hiding spot contains two lock-and-lock containers, so there's plenty of room for swag, travel bugs, and geocoins. If you are reading this on a smartphone app such that you can't see the tag on the hint, be aware that the hint is a total spoiler. We did that so that any small fans of Dinosaur Train will be certain to find the cache. We don't want anyone to fail to find it once they come looking. This cache was published with special permission from Groundspeak. [Spoiler] Onfr bs yvtug cbyr. Yvxr n qbbe.